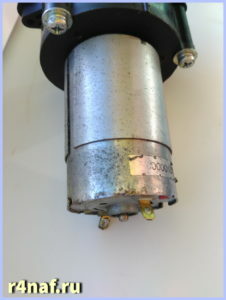 Came posting with a portable generator for 12 volts. The generator, as expected, came “second-hand”. 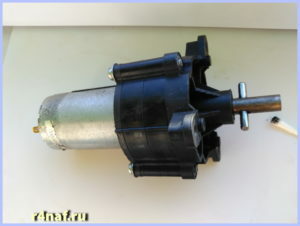 The seller writes about this when buying. generator weighs only 360 grams! 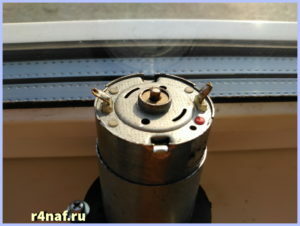 It provides voltage. There is no backlash. Later I make out body and see the condition of the gears. In the future, I’ll do it for the handle and body, and try to practice. Weight of the device is very happy! If all is well, the most suitable for hiking! 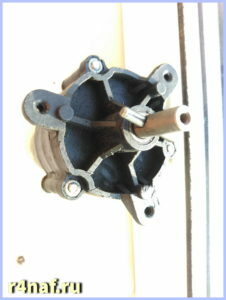 Initially this device was used as a geared motor, and is used to convert electrical energy into mechanical energy. 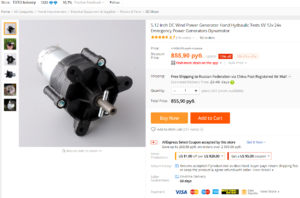 But with the “light hand” seller on aliexpress.com, it has become a generator. 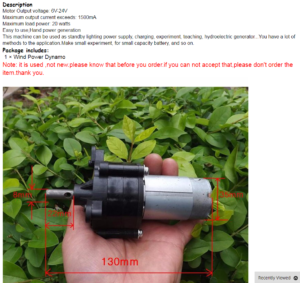 This entry was posted in Hiking equipment and tagged battery charging, charging station, cheap generator, dynamo machine, electricity, generator 12 volt, generator aliexpress.com, generator for hiking, hand generator, hiking, portable generator, генератор для походов, Генератор на 12 вольт, генератор с aliexpress.com, дешевый генератор, динамо-машина, пешие походы, подзарядка аккумуляторов, подзарядка радиостанции, портативный генератор, ручной генератор, электричество. Bookmark the permalink.